Pastor Erwin Lutzer shares vital lessons for us today in his new book Rescuing the Gospel. 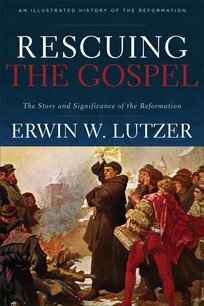 This captivating book is a must-read, as our generation faces great challenges in the battle to defend and proclaim the Gospel in the face of fierce opposition—even as the Reformers did. 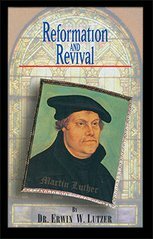 The Reformation unfolded in the cathedrals and town squares of Europe—in Wittenberg, Worms, Rome, Geneva, and Zurich. The story begins with the Catholic Church and its desperate need for reform. The dramatic events that followed are traced from John Wycliffe in England, to the burning of John Hus at the stake at the Council of Constance, to the rampant sale of indulgences in the cities and towns of Germany, to Martin Luther nailing the Ninety-Five Theses to the door of the Castle Church in 1517, to John Calvin’s reform of Geneva.